Burgas is the largest and most modern city on the southern Black Sea coast. It is about 55 km. away north of Primorsko. The city is the largest cultural, educational and commercial center in the region. Both main shopping streets in Burgas, ideal for shopping, cross near the bus and train station. They lead to the big vegetable market, numerous boutiques, to the university and to the beautiful sea garden. Around the city there are big city maps with exact location, so you can easily orientate yourself. The beautiful marine garden, with more than 100 rare tree species, stretches far over the entire steep coast of the city. From the large terrace you have a wonderful view to the sea and the bay. Here you find the renovated city casino with regular art exhibitions, as well as numerous comfortable seating and cafes. 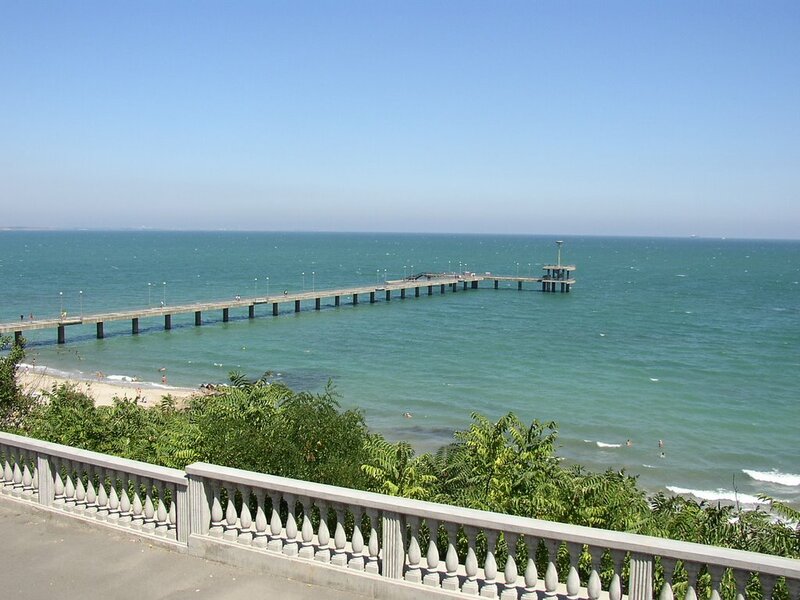 264 buildings in Burgas are classified as historical monuments. The “Cyril and Methodius” cathedral stands on the square of the same name in the city center. The beautiful wall paintings and a rich iconostasis are worth seeing. The ethnographic museum behind the cathedral is housed in a building from 1883, which is a protected monument. It houses a rich collection of local folk costumes, costumes and masks of the Kukeri (relics of ancient fertility rituals that continue to this day), objects from different eras, equipment for special rituals, hand-woven fabrics and knotted ribbons from this area. Videofilms inform about regional ethnographical and historical peculiarities. The Historical Museum was founded in 1925. Today, the Archeology Department houses a rich collection of finds from the ancient colonies on the Black Sea. There are numerous ceramic vessels, coins and jewelery from the ancient world, grave plates, stone plates with Thracian equestrian images, tools and equipment, dummies of ancient settlements. Another section relates to recent history and presents a documentary life and work of well-known personalities of the 18th / 19th century and enlighteners from this region, who have influenced the history of their city. The art gallery was founded in 1945. It houses works of Bulgarian painters and foreign artists in various rooms. Particularly interesting is the unusually rich icon collection. In the Natural History Museum, numerous exhibits show the geological features of the earth and of this region, inform about flora and fauna (over 1200 exhibits of insects and reptiles, over 140 species of fish). Of particular interest are the plant species from the Strandsha Mountains, which belong to the protected and extinct species. In 1855, the Armenian Church was established near the hotel “Bulgaria” with means of the Armenian community and Bulgarian support. Burgas is a city of concerts and festivals. The opera is housed in a new building. Every year, the festivals of German and Austrian classical music take place at the end of April and in May the International Children’s Choir Competition. Every year, a three-week classical music festival takes place in June / July. In August the participants of the International Folklore Festival compete against each other. The national music competition “Burgas and the sea” takes place, as well as the international folklore festival, the blues and jazz festival. Every year in May and September the flower exhibition “Flora” takes place in the sea park. The Sand figures festival in the Seapark annually welcomes its visitors until October. Around Burgas there are five lakes. The visitor center “Poda” has been constructed in a lake situated a few kilometers before you reach of Burgas. In the direction of the airport there are lagoons used for salt production. The museum of Salt in Pomorie is the only specialized museum for salt production in the Balkan Peninsula. The museum shows the ancient traditions of sea salt production.